Action for Rural Rejuvenation (ARR) is a pioneering social outreach program that seeks to transform the lives of India’s rural poor. 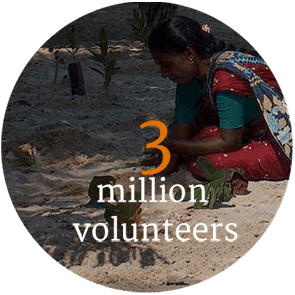 Initiated by Sadhguru in 2003, ARR takes a comprehensive approach to the complex challenges faced by rural communities by implementing a range of health, livelihood and community revitalization programs. ARR’s health initiative is designed to overcome the two main road blocks to healthcare in rural areas – cost and access. 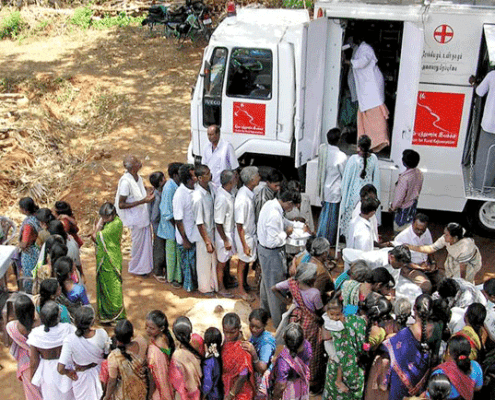 Twelve Mobile Health Clinics, specially designed all-terrain healthcare vehicles capable of reaching areas otherwise inaccessible to conventional healthcare providers, bring free, high-quality healthcare to villages and are of invaluable assistance to those who are most vulnerable to disease and infection. 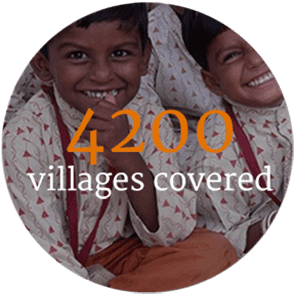 These are complemented by four Isha Rural Health Clinics, serving around thirty surrounding villages, and seeing an average of a hundred patients daily. Also, taking the view that prevention is always better than cure, ARR has organized hundreds of health awareness events, covering aspects like nutrition, disease-prevention, hygiene and self-care for chronic ailments. To uplift rural communities, ARR has implemented Isha Yoga Programs, including Inner Engineering and Isha Kriya. These programs have enabled participants to overcome chronic ailments like ulcers, asthma, allergies and depression as well as beat addictions. Further examples of ARR’s work to uplift rural India include: Herbal gardens providing indigenous herbal remedies to rural communities; Karunai Karuvarai (Wombs of Compassion) – in response to the high suicide rate among farmers, one person in each village is trained as a counselor so farmers have someone to turn to; Isha Crafts, providing a traditional livelihood to villagers and promoting creativity; and collaborating with TANSACS (Tamil Nadu State AIDS Control Society) to reach out to vulnerable people affected by AIDS. 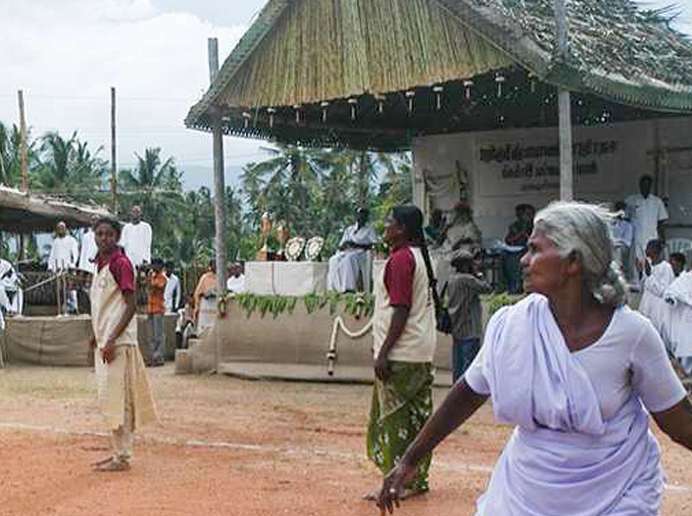 The Isha Yoga Programs also build a core volunteer base in the villages, which can then organize community games to renew a sense of community in the village by involving villagers young and old, and men and women from all castes and economic levels. ARR also organizes Isha Gramotsavam, a rural Olympics, where villages compete at volleyball, kabadi, uriyadi (blind-folded pot-breaking), tug-of-war, bullock cart races, valukkumaram (greasy pole contests) and slow cycle races carrying on till sunset. The changes in the rural communities are remarkable. A few years ago, adult and old women playing sports would have been unthinkable, as would have been villagers cheering on a player from a lower social caste. 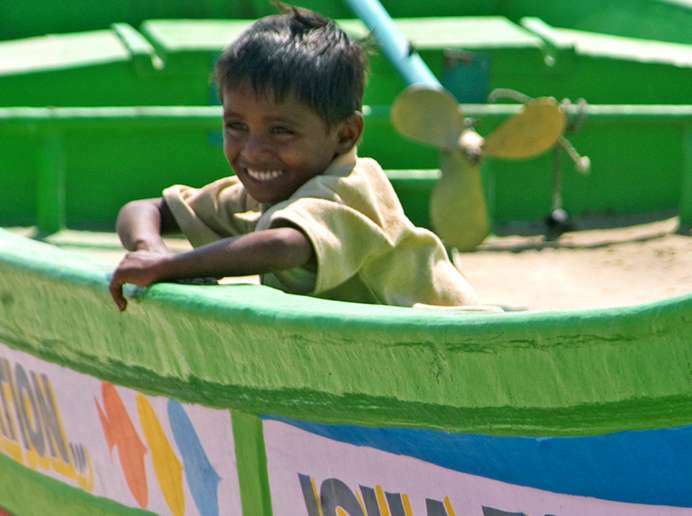 ARR was also involved with disaster relief and rehabilitation after the 2005 tsunami, including: the provision of healthcare and trauma relief; the reconstruction of permanent homes addressing fire, cyclone and tsunami hazards; the restoration of livelihoods to fishing communities by providing boats and marketing strategies; and support for community-building by organizing sports and games and renovating schools. ARR also works towards the psychological wellbeing of villagers. The large number of suicides by farmers led to the establishment of “Karunai Karuvarai” or “Wombs of Compassion.” Here, under the ARR aegis, one person in each village is trained as a village-counselor, so that farmers have a listening post to vent their grievances and work towards feasible solutions.ARR also cares for people living with HIV/AIDS. The ARR Mobile Health Clinics refer patients exhibiting HIV-related symptoms to the nearest Counseling and Testing Center.